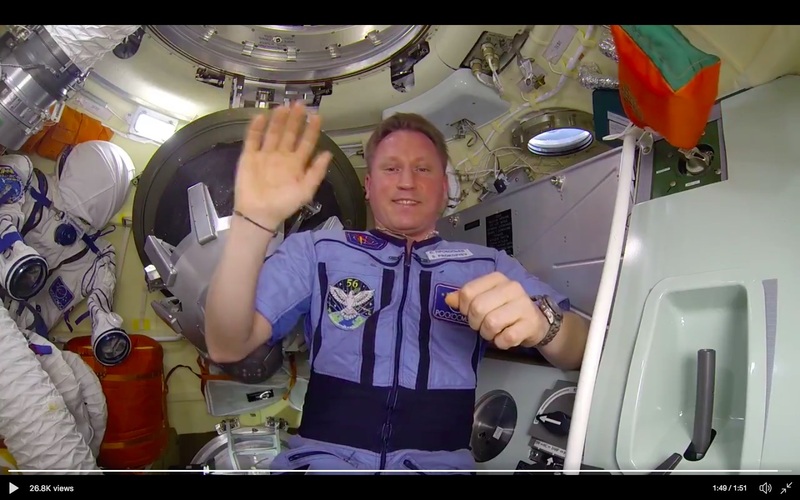 Pursuant to the question Does the ISS have zenith-facing windows? to which the conclusion (in my opinion) is that there may be a window that provides an oblique view that might include the zenith if you hold your head to the side, I'd like to ask about what looks like a window in what I believe to be an ISS-docked Soyuz spacecraft. What direction does this window face? In this case at least, facing-direction means the direction of the vector normal to the window's surface. "Friends, I decided to shoot a video to answer your numerous comments and dispel rumors. Everything is calm on the ISS! " The window in question is seen to the right of Prokopyev's head, is facing "upwards" in the photo, appears to be sunlit, and I estimate it to be around 12 to 16 cm in diameter. That appears to be the "cupola window", it's in the structural ring around the docking hatch and looks straight out the front of the Soyuz. You can see the probe from the docking mechanism hanging down from the hatch behind the crewmember. 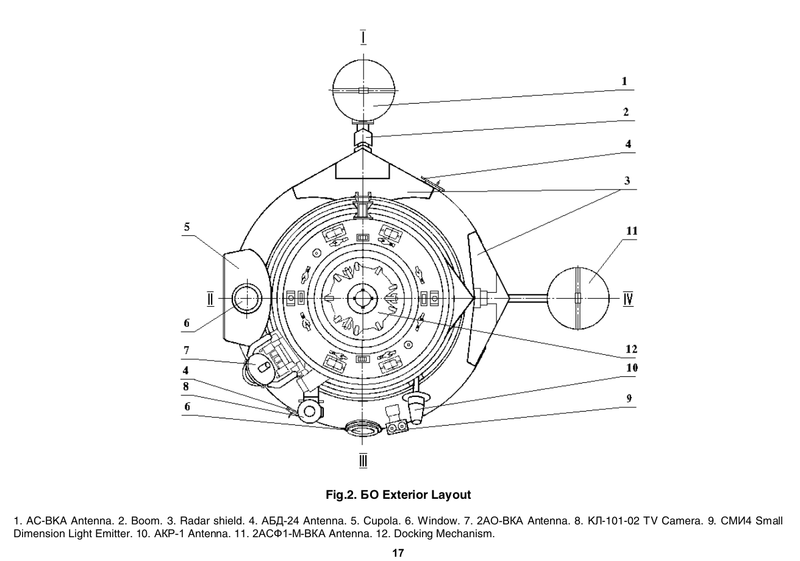 Here'a front view from the Soyuz Crew Operations Manual, the cupola window is #6. You can see it at the left of this picture of a docking Soyuz. So that window would be facing the docking port of the ISS that this Soyuz is docked to. If the Soyuz is docked at DC1 or MRM1, this window would be facing the zenith (like the one in this next picture). BUT...I am not sure you could see much out of it but the module you are docked with. Not the answer you're looking for? Browse other questions tagged iss soyuz-spacecraft russia spacecraft-window or ask your own question. 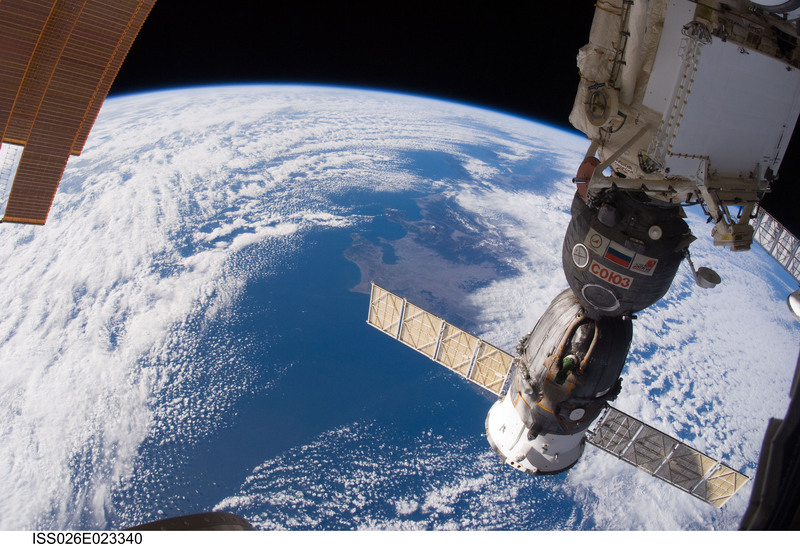 Does the ISS have zenith-facing windows? Have two individual ships been docked directly since Apollo-Soyuz? 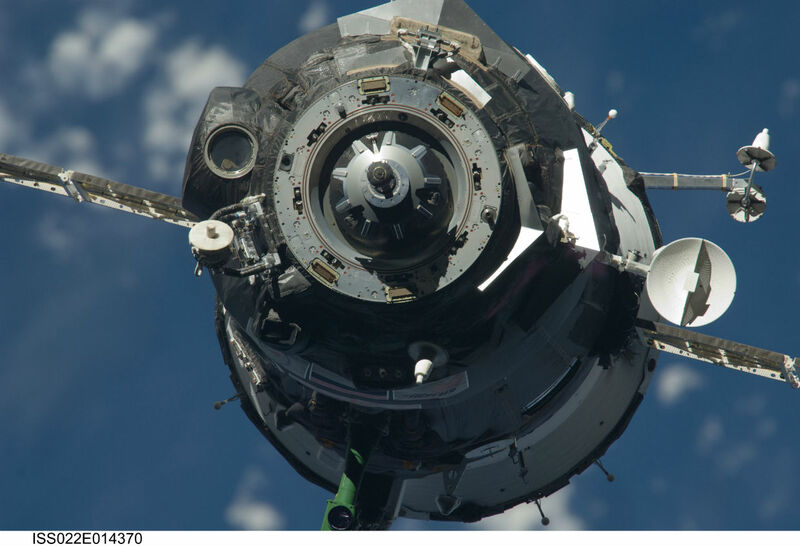 How are soyuz spacecraft adapted to 2 people crew?